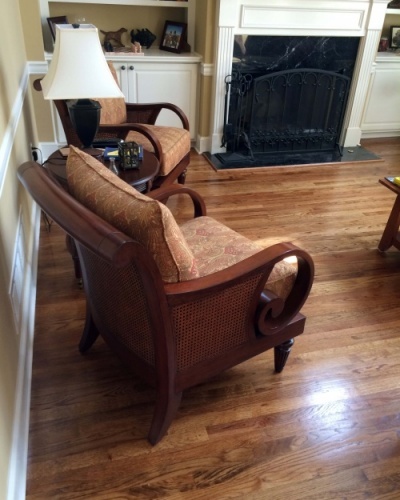 We recently completed a family room hardwood floor refinishing project here in Atlanta and wanted to share the before and after photos with you. We think they’re stunning, even if we do say so ourselves! 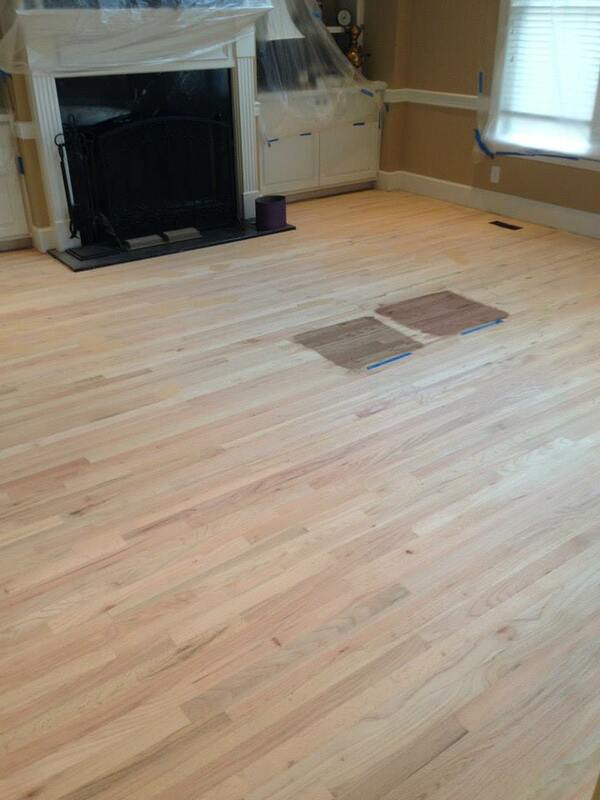 In the “before” image, you can see we’ve sanded the floors back to their pristine natural state. This can be done to solid hardwood floors three to four times during their lifetime, depending on how thick the wood is. And remember, there’s no more “dust” when sanding hardwood floors when you use Peach Design – we have powerful vacuums that contain the dust for easy removal from your home. We don’t want to breathe that stuff, and we don’t want you or your family to breathe it either. Dustless sanding also protects your belongings – particularly sensitive electronics – from being clogged with dust. Sanding the floors allowed the homeowners to test a couple different stain colors (you can see the two test strips in the “before” photo. Once they made their choice, we stained the floors and applied several coats of polyurethane sealant, then buffed for a beautiful shine. The entire process only took a couple of days, and we can even more your furniture for you. 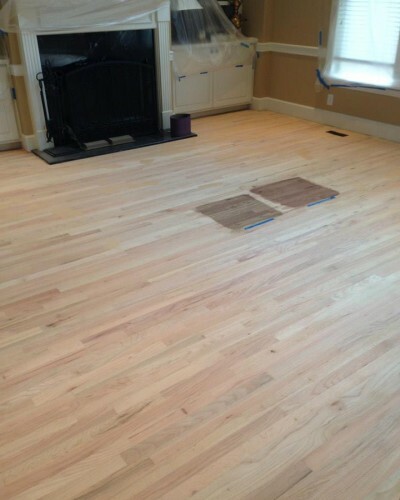 We hope these photos help you imagine how your floors could look! 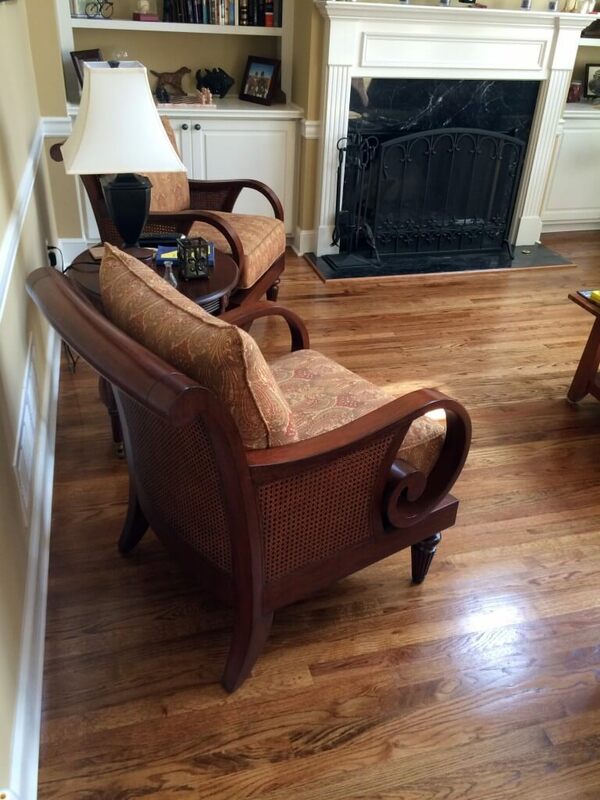 If you’re considering refinishing hardwood floors in the Atlanta area, let us help! Contact us for a free quote!